NEW DELHI – At least five Indian miners were killed and nearly two dozen trapped when mine waste collapsed at a mine run by state-owned Coal India Limited, police said on Friday. 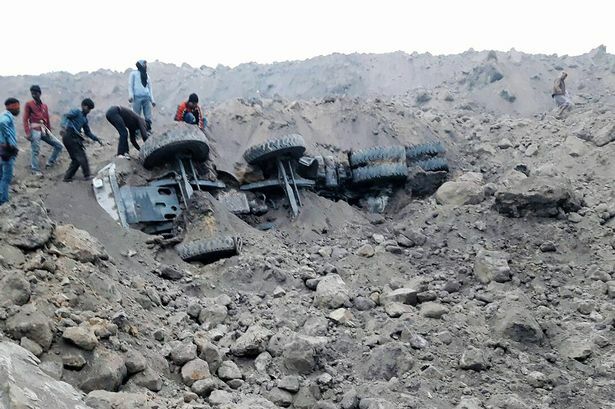 Several vehicles working at the mine were also trapped in the accident in Jharkhand state on Thursday evening at the Lalmatia mines owned by Eastern Coalfields Limited (ECL), a subsidiary of the world’s largest miner. “Five dead bodies have been recovered so far and 23 are missing,” state police spokesman R.K. Mullick told Reuters. Mine waste piled up near the mine caved, he said, adding that the operation of the mine had been outsourced to a private company. “At that time, about 40 people were working in the mine and some of them managed to escape. Some of them have injuries,” Mullick said. A spokesman for ECL declined to comment saying it was still gathering details from the site. “Saddened by the loss of lives at a mine in Jharkhand,” Prime Minister Narendra Modi said in a twitter post, adding that the state government and Coal Minister Piyush Goyal were helping.